American Elements specializes in producing high purity Lanthanum Scandium Oxide (or Lanthanum Scandate, LaScO3) Sputtering Targets with the highest possible density and smallest possible average grain sizes for use in semiconductor, chemical vapor deposition (CVD) and physical vapor deposition (PVD) display and optical applications. Our standard sputtering targets for thin film deposition are available monoblock or bonded with planar target dimensions and configurations up to 820 mm with hole drill locations and threading, beveling, grooves and backing designed to work with both older sputtering devices as well as the latest process equipment, such as large area coating for solar energy or fuel cells and flip-chip applications. Rotary (cylindrical), round, rectangular, square, ring, annular, oval, and other shaped targets are available in standard, custom, and research sized dimensions. All targets are analyzed using best demonstrated techniques including X-Ray Fluorescence (XRF), Glow Discharge Mass Spectrometry (GDMS), and Inductively Coupled Plasma (ICP). Materials are produced using crystallization, solid state and other ultra high purification processes such as sublimation. American Elements specializes in producing custom compositions for commercial and research applications and for new proprietary technologies. Please request a quote above for more information on lead time and pricing. 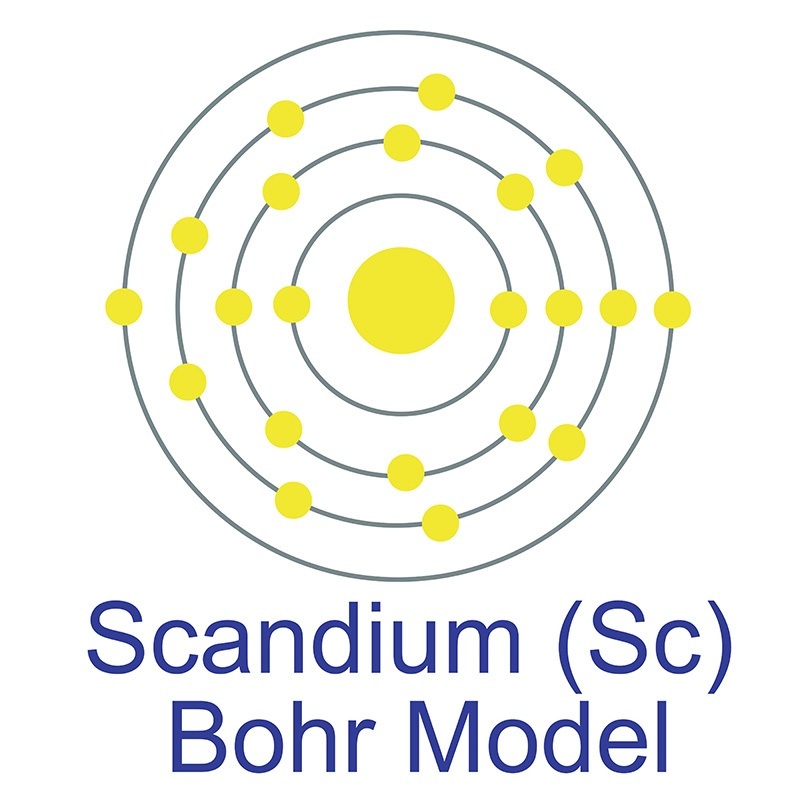 See more Scandium products. Scandium (atomic symbol: Sc, atomic number: 21) is a Block D, Group 3, Period 4 element with an atomic weight of 44.955912. The number of electrons in each of Scandium's shells is [2, 8, 9, 2] and its electron configuration is [Ar] 3d1 4s2. The scandium atom has a radius of 162 pm and a Van der Waals radius of 216 pm.Scandium was predicted by Dmitri Mendeleev in 1871 and actually discovered and isolated by Lars Nilson in 1879. One of the transition metals, scandium has a silvery-white appearance in its elemental form which oxidizes to yellow or pinkish upon contact with air. It is occasionally included in the classification of the rare earth elements. Scandium is found in concentrated amounts in the minerals euxenite, gadolinite and thortveitite however, due to the difficulties in the preparation of metallic scandium, global trade of the pure metal is very limited. The origin of the name scandium comes from the Latin word 'scandia' meaning Scandinavia. Electron linear accelerator production and purification of scandium-47 from titanium dioxide targets. Development of lanthanum-doped praseodymium cuprates as cathode materials for intermediate-temperature solid oxide fuel cells. Lanthanum-Doped Hafnium Oxide: A Robust Ferroelectric Material.